When it comes to humidors, the foremost material that comes to mind is Spanish Cedar. This wood has long been established as the best lining for humidors. This is because of the fact that Spanish Cedar has the tendency to absorb moisture, giving it the ability to restore moisture within the humidor, which is ideal for cigars. Another piece of trivia â€“ Spanish Cedar is used not only for humidors but also for other building materials as lining. Another advantage of using Spanish Cedar for humidors is its natural ability to resist molds. This is very important as no one would want any mold formation inside his humidor! In addition to this, Spanish Cedar is also resistant to tobacco beetles! 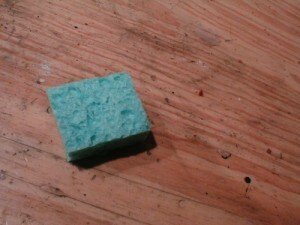 Anyone who has had an experience with these nasty little critters will know just how important this is. In modern times, however, developments in technology have made the use of other materials possible. Electronics and plastic have been used to treat cigars without the need for Spanish Cedar. As such, you will find many humidors today that do not make use of this wood at all. That is not to say that you cannot find humidors made of Spanish Cedar. While this wood may not be a require material, many still find humidors made of it desirable over those using modern materials. Do you know what a hygrometer is? If you are finding yourself a bit confused right now, donâ€™t be. You probably know what it is, or what it looks like, you just might not be familiar with the term. A hygrometer is basically an instrument which measures the level of humidity. How is this important for cigar enthusiasts? Humidity is the keyword here. You should know that when it comes to storing cigars, humidity is a key factor. That is where the hygrometer enters the picture. If you have a humidor, a hygrometer should also be present. There are many different kinds of hygrometer but the important thing for you to do is to calibrate it before you start storing your cigars. How do you do this? 1. Fill a milk bottle cap or other small container with salt, and add a few drops of water (not enough to dissolve the salt). 2. Put the cap inside of a baggie or plastic container along with your hygrometer, and seal the bag. 3. Wait 6 hours, then check the reading on your hygrometer without opening the bag (or immediately after removing). 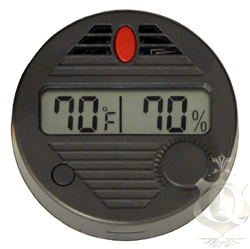 If the reading is 75%, then your hygrometer is accurate and no adjustment is required. 4. If the reading is not precisely 75%, then adjust the hygrometer to 75% by turning the screw or dial on the back. This must be done immediately after removing from the bag or container, before room conditions cause the reading to change. Now isnâ€™t that simple enough?